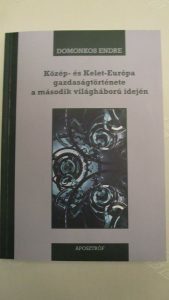 My book “Economic history of Central and Eastern Europe in the Interwar period Semi-periphery and seclusion from world economic tendencies” was published by Aposztróf Publisher. The book is availabe in all book stores and in Aposztróf Publisher. 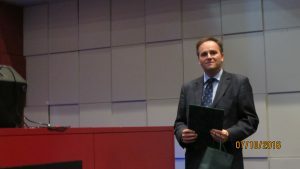 I was awarded with Scientific price of 2016 by Budapest Business School College of International Management within the category of scientific article on 7th of October. 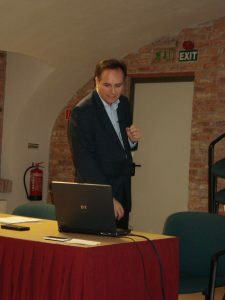 The main objective of the monograph Economic History of East Central Europe based on new scientific researches was to answer which factors contributed to the economic backwardness of the region. 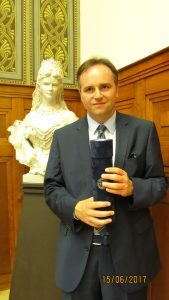 As a result of the researches in the fields of history, economy and international relations a comprehensive book was born, which analysed the economic development of seven Central and Eastern European countries. Within the workshop two shorter lectures were held. 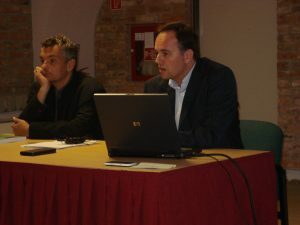 The first lecture focused on the situation of agrarian sector and the impacts of land reforms to the agriculture in Central Eastern and Southeastern European countries. 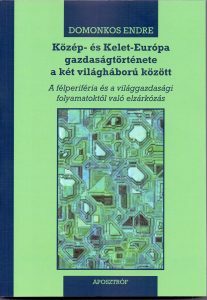 The conclusion of the author was that land reforms didn’t solve the structural problems of the agriculture, such as the low level of domestic accumulation, overpopulation of rural areas and technological backwardness but in contrary, the number of smallholdings increased significantly in most of the countries of the region. The second lecture analysed the role of foreign capital in the national economies of the region. It introduced the reasons of capital import dependence and its impacts, emphasizing the problem of indebtedness and the unproductive use of foreign loans. In the 1920’s public loans were flown into the Central and Eastern European countries, while the inflow of foreign direct investments was negligible. The borrowing costs were high because they were granted at rates of interests between 7 and 10 per cent by the main creditors. Besides unfavourable borrowing conditions, only 20 per cent of foreign capital went into productive investments, while 40 per cent was used for repaying former debt service including some dating from before and after the war. The consequence was that foreign loans didn’t solve the economic structural problems of the region. The relative backwardness of East Central Europe still remained. The author drew a parallel with the current semi-peripheral situation of the region and with the interwar period, highlighting that the only solution for Central and Eastern Europe is the European Union’s membership. Only with appropriate and logical use of financial transfers in the EU is it possible to overcome the semi-peripheral situtation and converge to the economically advanced West European countries. 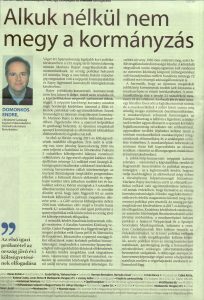 My article on the Spanish standoff and the Brexit was published in the daily Világgazdaság. On 15 June 2017, I received the degree “Dr. 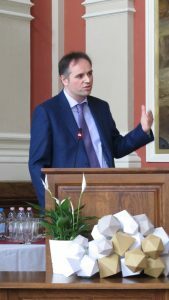 habil.” at the University of Pécs within the session of Senate. My monograph about The economic history of Central and Eastern Europe during the Second World War was published by Aposztróf Publisher.